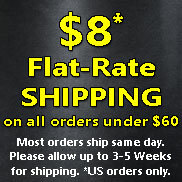 American pride is in the air and now you can display your patriotism and pulling passion on this unique, bold apparel! Navy blue shirt. 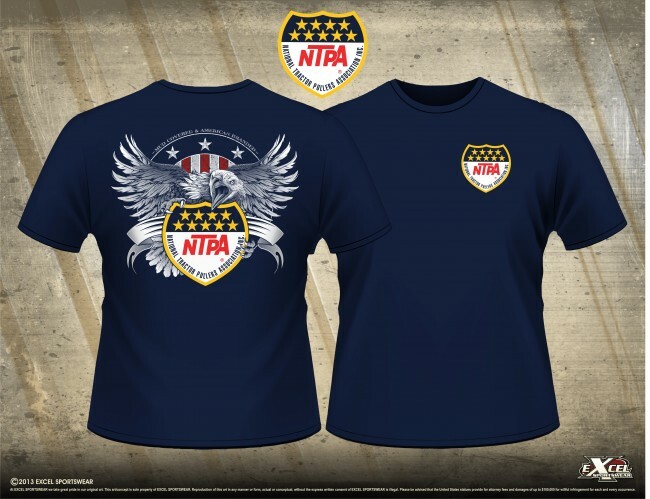 Front design features a left chest NTPA shield logo. Back design features America's symbolic eagle clutching the NTPA shield. American pride is in the air and now you can display your patriotism and pulling passion on this unique, bold apparel! Navy blue shirt. 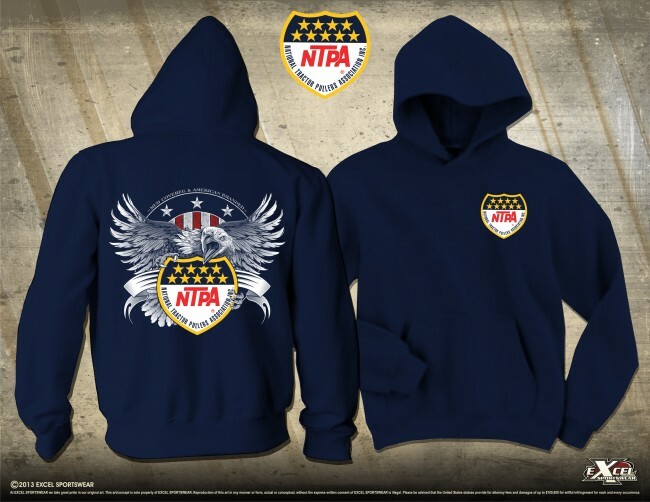 Front design features a left chest NTPA shield logo. 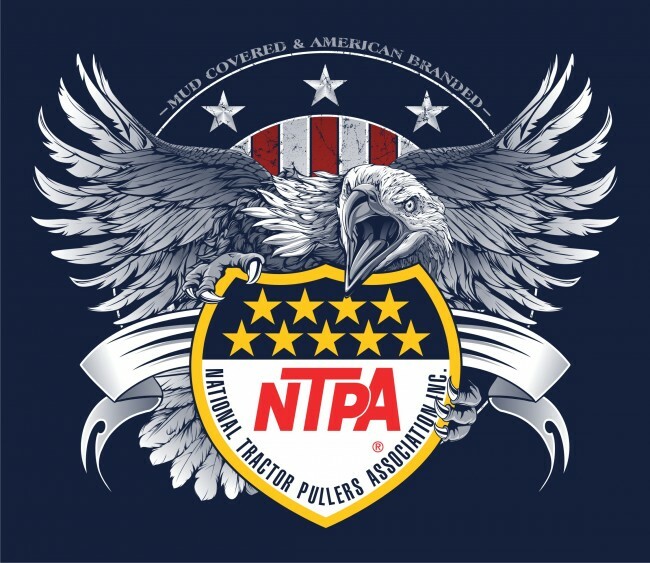 Back design features America's symbolic eagle clutching the NTPA shield.